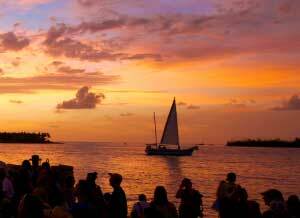 “See you at Sunset!” This iconic phrase has embodied the spirit and history of Key West since the event took off in the late 1960s! Beginning two hours before sunset, it’s a celebration and view that has captured the love and astonishment of iconic figures from Mark Twain in the 1800s to Tennessee Williams in the late 20th century! 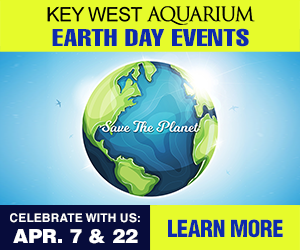 The Key West Sunset Celebration invites everyone to partake in watching the glowing pink and red sun sink into the Gulf of Mexico horizon. The nightly festival hosts visitors from all over the world who come to take part in the magicians, jugglers, clowns, psychics, local musicians, artists, and food vendors that combine for an incredible cultural experience. It is a fusion of friends and talents that has captivated tourists and locals alike. This nightly party has everything any local or guest could ever hope to stumble upon. The beauty, sheer history, and pure passion of this event have been immortalized in renowned art, stories, poetry, and photography!